Before wrapping up, Rahul Gandhi walked over to where PM Modi was seated and hugged him. 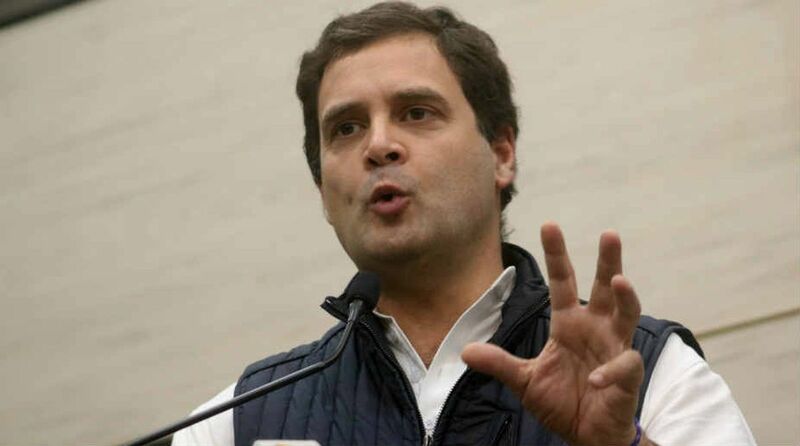 Following his scathing attack on the Narendra Modi government in Lok Sabha on Friday, the Bharatiya Janata Party (BJP) has decided to move privilege motion against Congress chief Rahul Gandhi for “putting forth falsehood and misleading the House”. Terming Gandhi’s behaviour as childish, BJP leader and Union Affairs minister Ananth Kumar told reporters that the president of Congress was “so ill-informed and immature”. Gandhi carried out a no-holds barred and scathing criticism of Modi on several issues including loan waiver and Rafale jet deal. Before wrapping up, he walked over to where PM Modi was seated and hugged him, a gesture which took the Treasury Bench members by surprise. This perhaps was the first time that an opposition leader has hugged the prime minister in the House, especially during a no-confidence motion. Akali Dal leader Harsimrat Kaur stood up and took objection to Gandhi’s hug. Several other BJP leaders also took objection to Rahul act. Speaker Sumitra Mahajan also gently reminded Gandhi that this was the country’s legislature and not a place for such gestures.